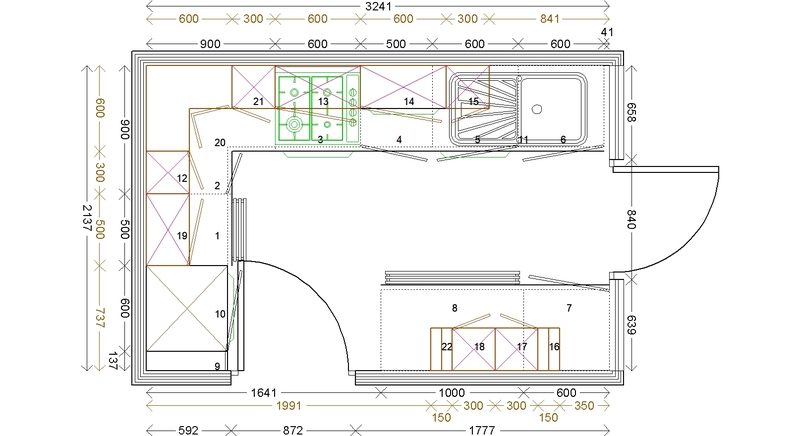 When Mr and Mrs Rigg first visited Kitchens By Design, they were full of ideas of their own and wanted to put their own individual spin on their new kitchen project. The finished results are truly amazing and are one of the best door/worktop combinations we have seen. From their first consultation with myself, they were immediatly impressed by our front window that showcases a stunning Integra Gloss Kashmir display. We had a look at the different Grey Door samples around the showroom and they decided that Integra was just what they wanted. 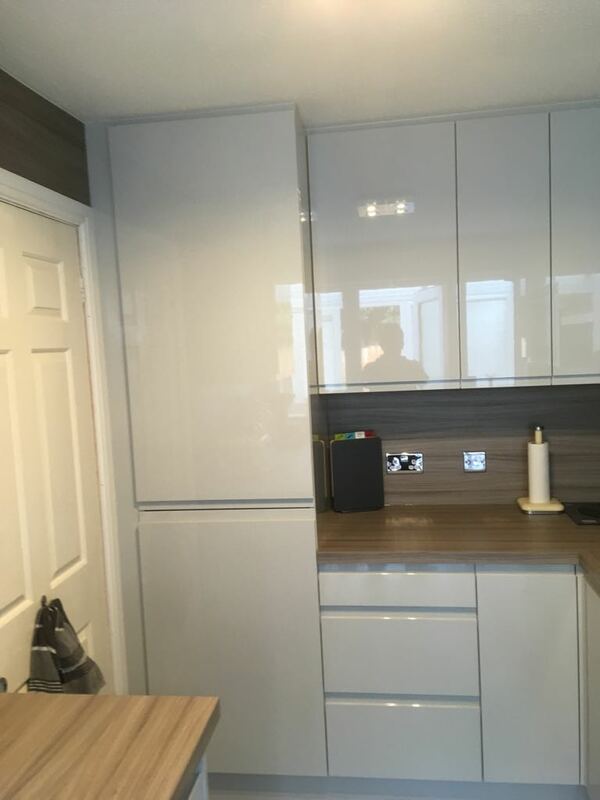 They immediatly settled on the Gloss Grey Mist door and soon began the work of pairing it with the rest of the features in the kitchen. 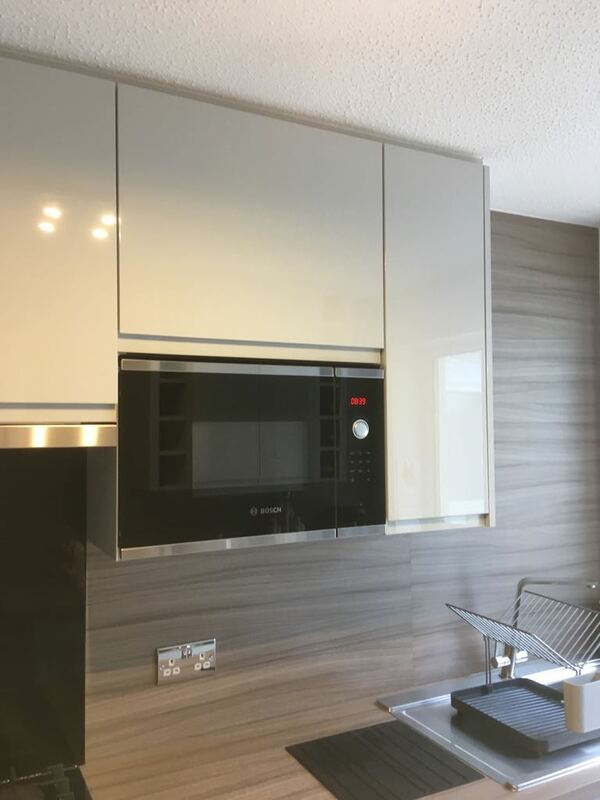 Armed with a list of appliances that they desired, we incorporated them into the design and they were truly blown away by the results. 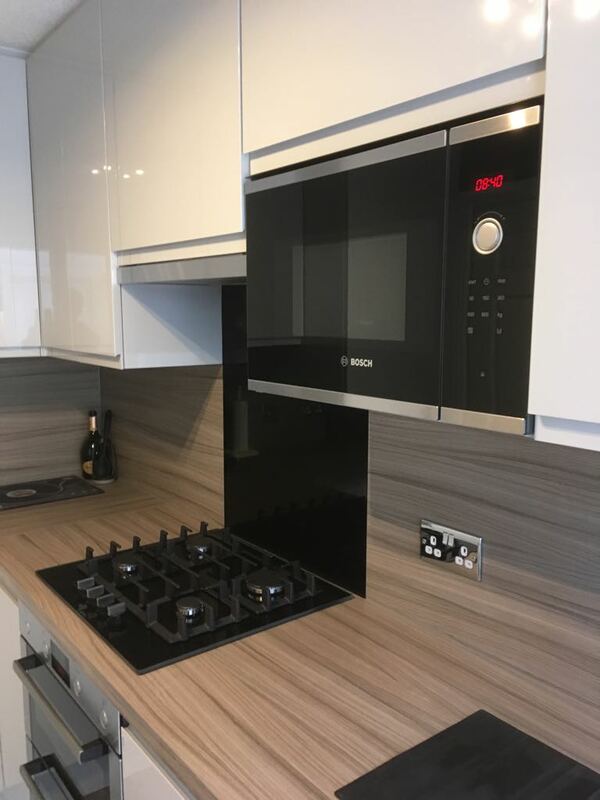 These included a built in microwave, a larder fridge freezer, washing machine, telescopic Hood, Double Oven and a Gas Hob from the leading manufacturer Bosch. 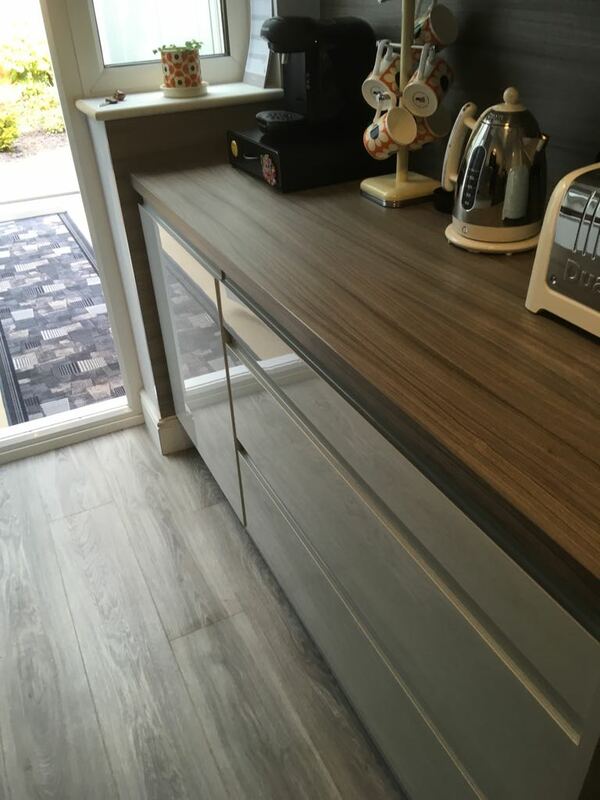 We spent a while looking at different worktops and after a couple of ideas of their own combined with my personal taste, we agreed that Grey Mist and Driftwood are the perfect combination together. 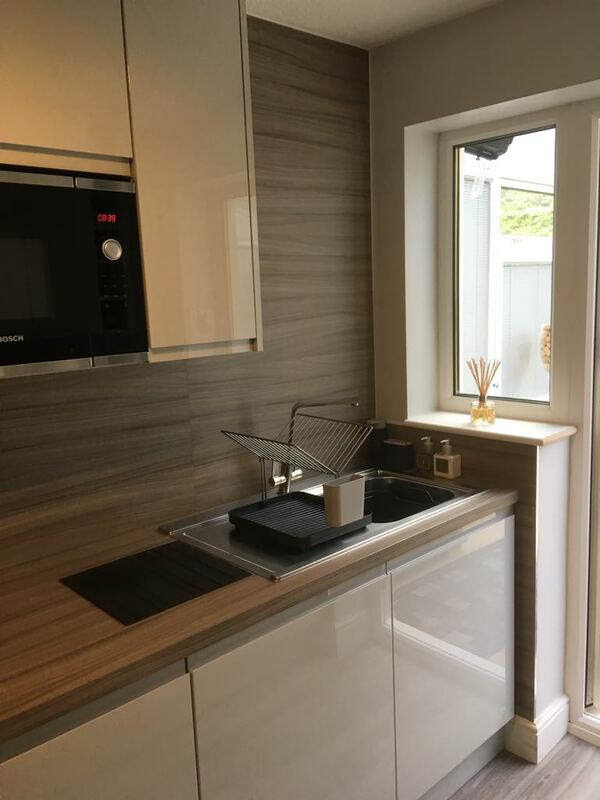 The finished kitchen looks incredible with the two tone mix. The two bespoke made wine racks stand proud infront of a full height Driftwood Splashback and the same is repeated throughout the rest of the room. 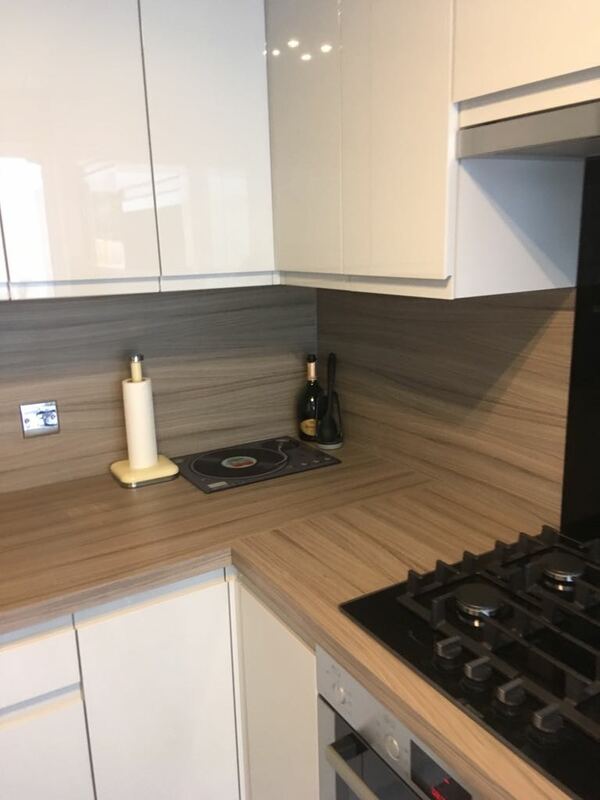 Looking at the many samples of flooring we came to an agreement that it should be similar to the style and finish of the worktop and chose a stunning Moduleo Blackjack Oak flooring which mimicked the worktop. 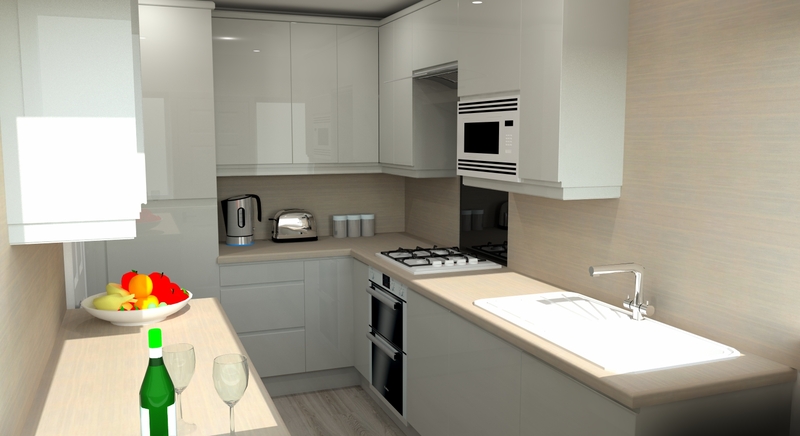 It was at this point that the 3D rendered design came to life and their dream kitchen was forming infront of their very eyes. 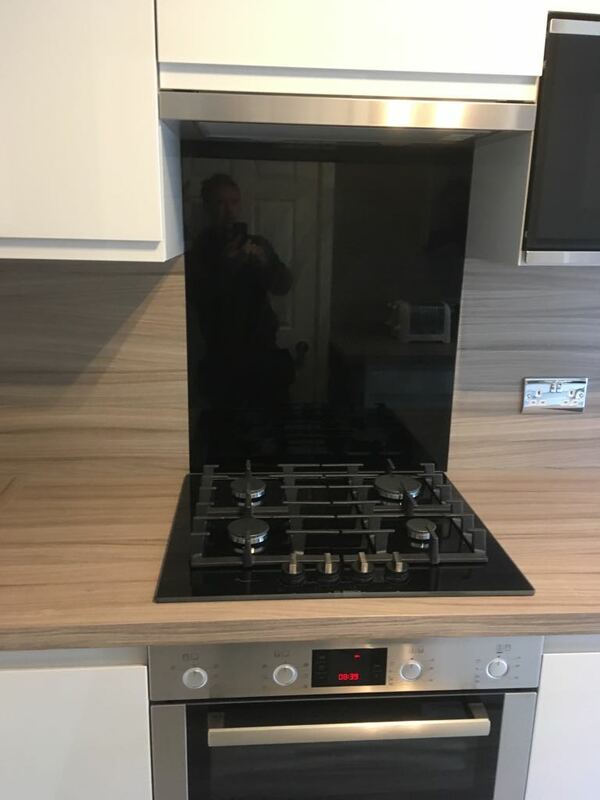 A delicate black glass splashback behind the hob is and a designer brushed steel sink and tap from our friends at Abode Designs is all this room needed to be finished off. 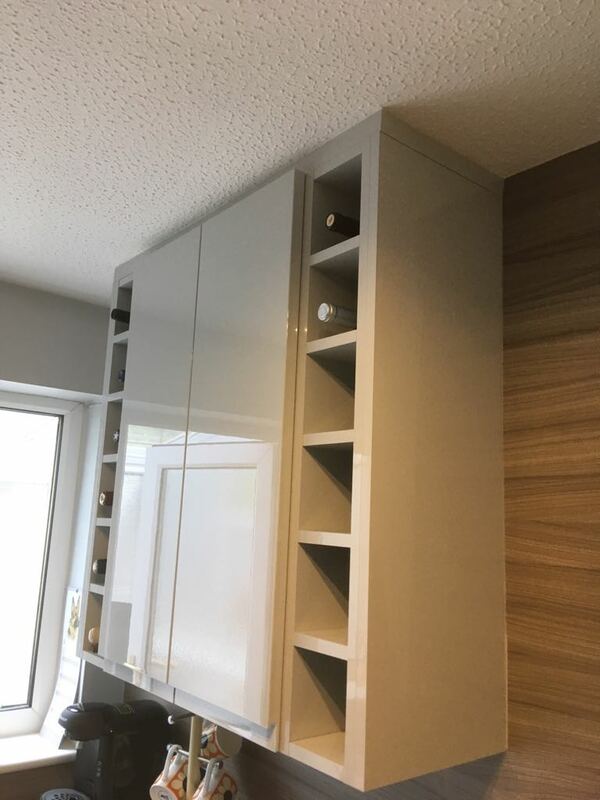 Mr and Mrs Rigg you were an absolute pleasure to work with and we thank you for choosing Kitchens By Design for your latest home improvement project. We sincerely hope that you enjoy your new kitchen for years to come!